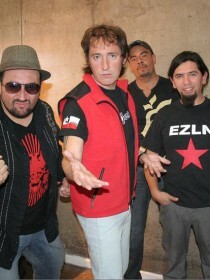 Sexual Democracia are a Chilean folk-rock band, active in the late 1980s until early 2000s. Sexual Democracia is among the commercially most successful bands from Valdivia. Its second album Buscando Chilenos 2 reached platinum status due to strong sales.